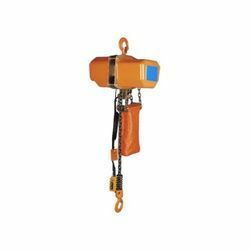 For light to heavy duty application TechnoAce Electric Chain Hoist is your ideal choice. Our hoists are widely used on the work stations , jib cranes and monorails covering wide area of applications. 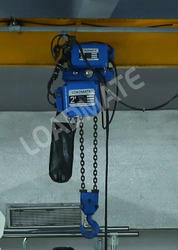 We offer chain hoists from ranging from SWL of 500kgs upto 10Tons. We are renowned for manufacturing both plate and bolted type of Electric Chain Hoist. In the Electric Hoist, the Electric Hoisting gearbox is directly mounted with rope drum and motor is mounted with gear coupling or geared brake drum which makes the working of the Electric Hoist all the more effective.